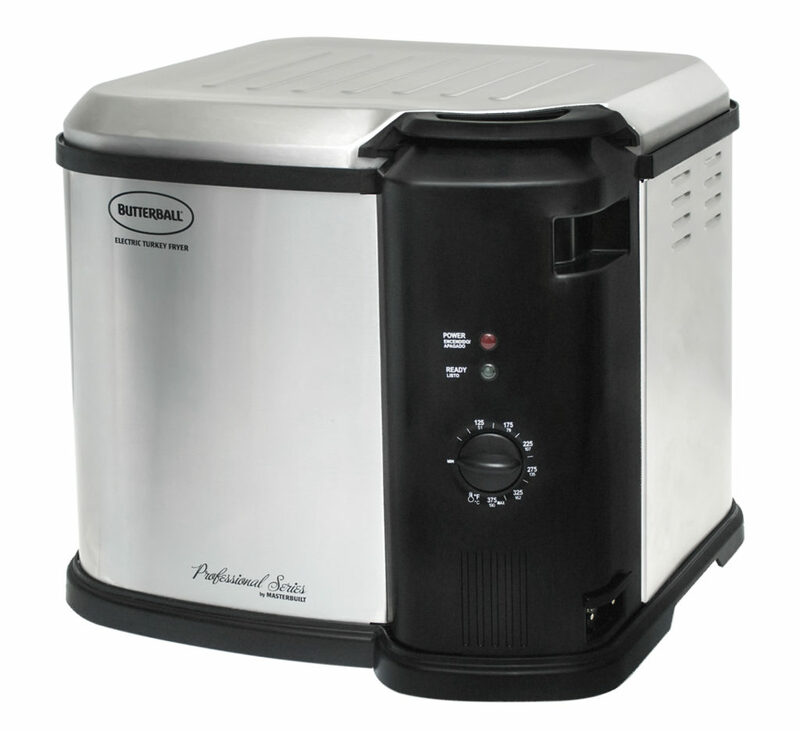 Today’s prize is: (1) Butterball® Indoor Electric Turkey Fryer by Masterbuilt®. With this machine you can fry, steam, or boil your favorite foods. It’s the hassle-free way to enjoy the delicious taste of fried turkey – all in the comforts of your own home! Click here for more details on features and specifications. Do you have turkey, ham, prime rib, or something else as your Christmas main dish? Today is the twelfth day of our 12 Days of Christmas Giveaways. You can enter each day to win the prize of the day. Contest rules and how to enter are below. Winner will be announced, here on the blog, Monday as well as contacted by the email address provided. You have until tonight, Friday, December 16, 2016, at 11:59p ET to leave your comment on this blog post and on the recipe. Comments posted after that will not be counted. Eggs, sausage and pierogi main dishes – we have brunch. Turkey on Thanksgiving. Would love to win this since I live in a RV and oven is tiny. We do prime rib on Christmas Eve and ham on Christmas! We have shrimp, brisket, Swedish meatballs, and tamales for Christmas Eve, and turkey, ham and prime rib for Christmas Dinner. Big family here so we have a ham and a turkey for our Christmas dinner! Our Christmas main dish is fondue! I have Ham for Christmas. Sometimes we add taco’s. Christmas Eve is appetiser and potato soup. Christmas Day is a stolllen for breakfast. Glazed spiral ham on Christmas day. — MERRY CHRISTMAS, Mr. Food! We make either ham or turkey! It’s usually turkey and a ham for Christmas! It’s been my family tradition for years! We have ham and turkey for both Thanksgiving and Christmas…plus all the sides! We do both turkey and ham, ever since I was a little girl. Long tradition with only wife and I. Cornish hens with mushrooms / long grain wild rice ! The Shepherd’s pie, I will have to try. And add in sausage as well ! we have lasagna for Christmas dinner! Would be nice to make my Thanksgiving and Christmas Turkey in. We usually have turkey and ham, but a few years ago I made a pot roast and it was a hit, too. Pierogi and haddock for Christmas Eve. Turkey and ham for Christmas. I usually have a brined turkey as main dish, but this year I’m making lasagna. We always have a big ol ham with all the trimmings at Christmas! Ham id our main dish for Christmas. It varies year to year depending on whether we had Thanksgiving at our home or somewhere else. (If we had Thanksgiving somewhere else, we’ll make a turkey). This year, we’ll have a simple ham dinner with potatoes, green bean casserole & rolls! Prime rib rules this year! Ham Balls and Loukamathes for Christmas eve. Depending on the number of people, and the whim of the host/hostess, it could be turkey, ham, venison or beef roast. Would love to win this. 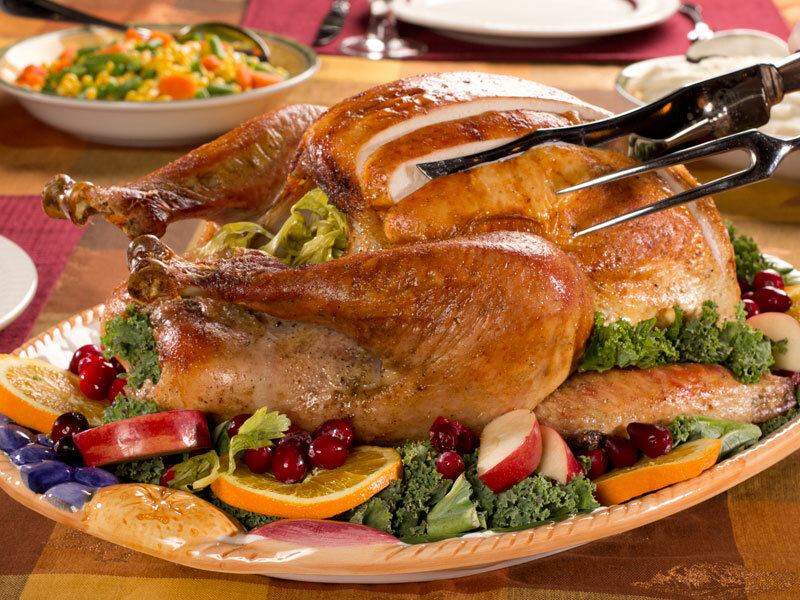 Turkey with all the fixings…Yum!! We generally do ham- but also lean towards seafood like crab & shrimp! Christmas Day we have a Turkey and all the trimmings but we also use up any leftovers from our Christmas Eve dinner that some in the family like to eat instead of the turkey. I’m happy to have enough food every day of the year, whether I celebrate a holiday or not. I don’t remember any specific food traditions surrounding holidays when I was a little kid. Fried turkey is wonderful at our home for the holidays, I love the taste and with all the other fixings, dinner is wonderful, very few left overs, here. Could cook turkey anytime and leave the oven open for sides. Saves money on peanut oil..
BECAUSE WE’RE A BIG FAMILY, WE USUALLY HAVE HAM, BEEF BRISKET OR ROAST AND HAM…. I’ve always wondered about fried turkey. With this I could give it a try. Always heard fried turkey is delicious, but have never had it. Would love to try to make one if I win this prize! prime rib is usually our main dish! We usually have turkey for Christmas and ham for New Years. We usually have turkey, but I have seen a couple of recipes on your site for ham that I may have to try this year. Love the Maple Glazed ham. This year, we’re having a pork roast with dressing, sweet potatoes, and lima beans! What a wonderful gift. I have been wanting one for a few years now. I hope I win. We prefer ham, but truthfully, it all depends on what sales the grocery is running. We do lasagna and ham! Turkey and Ham are on the menu this year! It’s looks so delicious!! Ham is our main dish for Christmas, and oh how delicious it is! How I love turkey I make it year round but have never fried it. Sounds delicious. We have a turkey for Christmas Day when the family is all here. 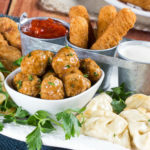 Christmas Eve is an array of appetizers and desserts. Christmas Day is prime rib and turkey. No wonder January brings plans for dieting. Turkey. We were out with the family for Thanksgiving so we are having our turkey for Christmas. wow, that would be a great addition to anyones kitchen!! Love to cook my Christmas turkey in that. Turkey, I wanna fry it this year. yummy turkey n dressing on the menu!!! Prime Rib (if we find it on sale). It’s my favorite! My favorite is Prime Rib, but since I am not cooking this year, I cannot be picky! We had turkey for Thanksgiving but I might make a turkey breast to go along with the beef roast that I’m planning. Of course my 95 year old mom is making her chicken and dumplings. We change up our main dish. It can be Ham, Turkey, Roast Chicken, Smoked Brisket, or even an Italian Pasta dish. But I do love Turkey. We always have Ham. Along with potatoe salad and baked beans. 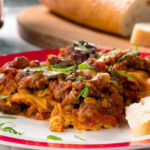 We usually have turkey if we aren’t having lasagna. Prime rib is the best Christmas present I get every year!!!! My brother cooks it just right with a rubber that just can’t be beat!!!! A fried turkey, a baked turkey and a ham to feed my large, extended family of 30+. We always have turkey and ham. We have a lot of people at Christmas dinner. We usually have turkey, but this year we are having ham. I always have turkey breast and then I either have ham or fried chicken. My Christmas main dish is Turkey!! Turkey or ham usually but we like to mix it up with something like lasagna or soup and sandwiches, even! With a hubby that often works Christmas day, we found flexibility is great. It’s all about being together, right? We usually have ham or pork. This year we are having chicken. We usually have turkey and ham, that way we have meals to take to the elderly and homebound seniors in the community. We have turkey and ham. Turkey, usually. But it varies year to year! We always have turkey on Thanksgiving and prime rib on Christmas That is the family tradition. we will do turkey this time! I usually make something Italian. This year I am making lasagna . Glazed ham but wouldn’t mind a rib roast too! We always have turkey with all the trimmings on Christmas day. On Christmas Eve we have Boston blue fish and potato salad, preceeded by garlic soup. I make lasagna for Christmas dinner. We have ham on Christmas dinner. We always have Turkey as our main dish, but some years we add a small beef roast too. I’d love to have a Prime Rib as our Christmas main dish! I usually make filet mignon for the adults, ham for the kids! Usually we have turkey, but it seemed for like 5 years I couldn’t find a turkey at Christmas time, and had ham. Went to the grocery store yesterday and noticed both ham and turkey’s are well stocked. I prefer turkey, but ham is so much easier. I’m going to have to flip a coin this year. Ham &/or brisket with the in-laws, deer roast & ham roast with my family. We are having roast beef and gravy and pulled pork this year. We have our famous roast beef every year but change the other meat each year. LUTEFISK on Christmas eve with turkey. Christmas Day is ham. I make a glazed Spiral Ham for Christmas Eve and have leftovers for Christmas Day. We have prime rib for dinner once a year – on Christmas! Breakfast burritos and cinnamon rolls to start the day. grass fed leg of lamb with rosemary and mint jelly will be our main course this year and every year. We have roasted chicken as our main dish for Christmas. Ham is the centerpiece for Christmas Day. Not only great for easy dinners but also great for sandwiches & breakfasts throughout the holiday season. For Christmas it is turkey & ham, New Year it is prime rib roast. We always have a wonderful ham at Christmas. I love the ham sandwiches the next day! Congratulations, Mary! You are the winner of the twelfth day’s prize! We’ll be sending you an email shortly, so you can claim your prize. Please respond as soon as possible, so we can send it your way. It varies by who is hosting Christmas. This year it will be turkey and ham. Last year I served sliced beef and deep fried turkey. Year before it was prime rib and ham (which is the only time I remember not having turkey). The turkey thawing tips are nice. I never really thought about it before. So many different ways to cook a bird! We usually buy a big box of smoked game and smoked turkey from Cabellas for Christmas dinner, but since we have no company coming this I’m just going to make a small prime rib roast. We are having Ham, and crab-stuffed shrimp as our main dishes. YUM, can’t wait!! We have ham for Christmas and turkey for Thanksgiving. Thats the way we did it in my family growing up and thats what i carried over to my family. Some years we have turkey and other years we have ham and sometimes we have both. We have Turkey with our Thanksgiving meal & Baked Country Ham on Christmas. We usually do a turkey dinner for Christmas, but this year we are switching it up and doing a ham instead. mostly ham but sometimes both! We have turkey as the main dish with all the trimmings. We have both ham and turkey for Christmas. Some years we have turkey and some years we have ham and others we have both. We’re leg of lamb people.